Pope from 461-468 and guardian of Church unity. He was born in Sardinia, Italy, and was a papal legate to the Robber Council of Ephesus in 449, barely escaping with his life from this affair. Hilary was used by Pope St. Leo I the Great on many assignments. When Leo died, Hilary was elected pope and consecrated on November 19,461. He worked diligently to strengthen the Church in France and Spain, calling councils in 462 and 465. 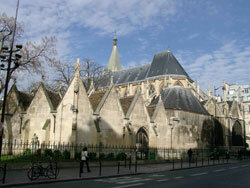 Hilary also rebuilt many Roman churches and erected the chapel of St. John Lateran. He also publicly rebuked Emperor Anthemius in St. Peter’s for supporting the Macedonian heresy and sent a decree to the Eastern bishops validating the decisions of the General Councils of Nicaea, Ephesus, and Chalcedon. 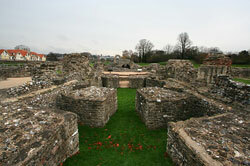 Hilary consolidated the Church in Sandi, Africa, and Gaul. He died in Rome on February 28. St. Leander of Seville, Bishop (Feast – February 27th) Leander was born at Cartagena, Spain, of Severianus and Theodora, illustrious for their virtue. St. Isidore and Fulgentius, both bishops were his brothers, and his sister, Florentina, is also numbered among the saints. He became a monk at Seville and then the bishop of the See. He was instrumental in converting the two sons Hermenegild and Reccared of the Arian Visigothic King Leovigild. This action earned him the kings’s wrath and exile to Constantinople, where he met and became close friends of the Papal Legate, the future Pope Gregory the Great. It was Leander who suggested that Gregory write the famous commentary on the Book of Job called the Moralia. Once back home, under King Reccared, St. Leander began his life work of propagating Christian orthodoxy against the Arians in Spain. The third local Council of Toledo (over which he presided in 589) decreed the consubstantiality of the three Persons of the Trinity and brought about moral reforms. Leander’s unerring wisdom and unflagging dedication let the Visigoths and the Suevi back to the true Faith and obtained the gratitude of Gregory the Great. The saintly bishop also composed an influential Rule for nuns and was the first to introduce the Nicene Creed at Mass. Worn out by his many activities in the cause of Christ, Leander died around 600 and was succeeded in the See of Seville by his brother Isidore. The Spanish Church honors Leander as the Doctor of the Faith. Sister of St. Louis and daughter of King Louis VIII of France and Blanche of Castile, she refused offers of marriage from several noble suitors to continue her life of virginity consecrated to God. She ministered to the sick and the poor, and after the death of her mother, founded the Franciscan Monastery of the Humility of the Blessed Virgin Mary at Longchamps in Paris. She lived there in austerity but never became a nun and refused to become abbess. She died there on February 23, and her cult was approved in 1521. St. Tarasius was subject of the Byzantine Empire. He was raised to the highest honors in the Empire as Consul, and later became first secretary to the Emperor Constantine and his mother, Irene. When being elected Patriarch of Constantinople, he consented to accept the dignity offered to him only on condition that a General Council should be summoned to resolve the disputes concerning the veneration of sacred images, for Constantinople had been separated from the Holy See on account of the war between the Emperors. The Council was held in the Church of the Holy Apostles at Constantinople in 786; it met again the following year at Nice and its decrees were approved by the Pope. The holy Patriarch incurred the enmity of the Emperor by his persistent refusal to sanction his divorce from his lawful wife. He witnessed the death of Constantine, which was occasioned by his own mother; he beheld the reign and the downfall of Irene and usurpation of Nicephorus. St. Tarasius’ whole life in the Episcopacy was one of penance and prayer, and of hard labor to reform his clergy and people. He occupied the See of Constantinople twenty-one years and two months. His charity toward the poor was one of the characteristic virtues of his life. He visited in person, all the houses and hospitals in Constantinople, so that no indigent person might be overlooked in the distribution of alms. This saintly Bishop was called to his eternal reward in the year 806. His feast day is February 25th. 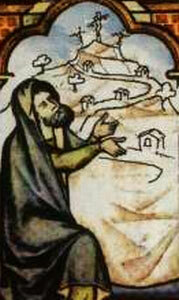 Benedictine monk, called Theristus or Harvester. He was of Calabrian lineage, born in Sicily. His mother was a slave of the Saracens. John escaped at a young age and became a monk. Imagine being able to sit at the feet of the apostles and hear their stories of life with Jesus from their own lips. Imagine walking with those who had walked with Jesus, seen him, and touched him. That was what Polycarp was able to do as a disciple of Saint John the Evangelist. But being part of the second generation of Church leaders had challenges that the first generation could not teach about. What did you do when those eyewitnesses were gone? How do you carry on the correct teachings of Jesus? How do you answer new questions that never came up before? With the apostles gone, heresies sprang up pretending to be true teaching, persecution was strong, and controversies arose over how to celebrate liturgy that Jesus never laid down rules for. On the other hand when faced with Christian disagreements he was all forgiveness and respect. One of the controversies of the time came over the celebration of Easter. The East, where Polycarp was from, celebrated the Passover as the Passion of Christ followed by a Eucharist on the following day. The West celebrated Easter on the Sunday of the week following Passover. When Polycarp went to Rome to discuss the difference with Pope Anicetus, they could not agree on this issue. But they found no difference in their Christian beliefs. And Anicetus asked Polycarp to celebrate the Eucharist in his own papal chapel. One day, during a bloody martyrdom when Christians were attacked by wild animals in the arena, the crowd became so mad that they demanded more blood by crying, “Down with the atheists; let Polycarp be found.” (They considered Christians “atheists” because they didn’t believe in their pantheon of gods.) Since Polycarp was not only known as a leader but as someone holy “even before his grey hair appeared”, this was a horrible demand. Polycarp was calm but others persuaded him to leave the city and hide at a nearby farm. He spent his time in prayer for people he knew and for the Church. During his prayer he saw a vision of his pillow turned to fire and announced to his friends that the dream meant he would be burned alive. Then he went downstairs, talked to his captors and fed them a meal. All he asked of them was that they give him an hour to pray. He spent two hours praying for everyone he had every known and for the Church, “remembering all who had at any time come his way — small folk and great folk, distinguished and undistinguished, and the whole Catholic Church throughout the world.” Many of his captors started to wonder why they were arresting this holy, eighty-six-year-old bishop. Because of Polycarp’s lack of fear, the proconsul told him he would be burned alive but Polycarp knew that the fire that burned for an hour was better than eternal fire. The fire was lit as Polycarp said Amen and then the eyewitnesses who reported said they saw a miracle. The fire burst up in an arch around Polycarp, the flames surrounding him like sails, and instead of being burned he seemed to glow like bread baking, or gold being melted in a furnace. When the captors saw he wasn’t being burned, they stabbed him. The blood that flowed put the fire out. The proconsul wouldn’t let the Christians have the body because he was afraid they would worship Polycarp. The witnesses reported this with scorn for the lack of understanding of Christian faith: “They did not know that we can never abandon the innocent Christ who suffered on behalf of sinners for the salvation of those in this world.” After the body was burned, they stole the bones in order to celebrate the memory of his martyrdom and prepare others for persecution. The date was about February 23, 156. 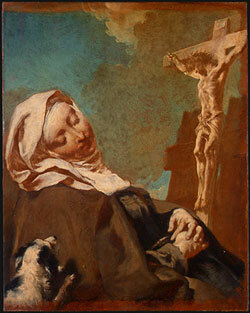 Margaret of Cortona, penitent, was born in Loviana in Tuscany in 1247. Her father was a small farmer. Margaret’s mother died when she was seven years old. Her stepmother had little care for her high-spirited daughter. Rejected at home, Margaret eloped with a youth from Montepulciano and bore him a son out of wedlock. After nine years, her lover was murdered without warning. Margaret left Montpulciano and returned as a penitent to her father’s house. When her father refused to accept her and her son, she went to the Friars Minor at Cortona where she received asylum. Yet Maragaret had difficulty overcoming temptations of the flesh. One Sunday she returned to Loviana with a cord around her neck. At Mass, she asked pardon for her past scandal. She attempted to mutilate her face, but was restrained by Friar Giunta. Margaret earned a living by nursing sick ladies. Later she gave this up to serve the sick poor without recompense, subsisting only on alms. Evenually, she joined the Third Order of St. Francis, and her son also joined the Franciscans a few years later. Margaret advanced rapidly in prayer and was said to be in direct contact with Jesus, as exemplified by frequent ecstacies. Friar Giunta recorded some of the messages she received from God. Not all related to herself, and she courageously presented messages to others. In 1286, Margaret was granted a charter allowing her to work for the sick poor on a permanent basis. Others joined with personal help, and some with financial assistance. Margaret formed her group into tertiaries, and later they were given special status as a congregation which was called The Poverelle (“Poor Ones”). She also founded a hospital at Cortona and the Confraternity of Our Lady of Mercy. Some in Cortona turned on Margaret, even accusing her of illicit relations with Friar Giunta. All the while, Margaret continued to preach against vice and many, through her, returned to the sacraments. She also showed extraordinary love for the mysteries of the Eucharist and the Passion of Jesus Christ. Divinely warned of the day and hour of her death, she died on February 22, 1297, having spent twenty-nine years performing acts of penance. She was canonized in 1728. Her feast day is February 22nd. Bishop and martyr. 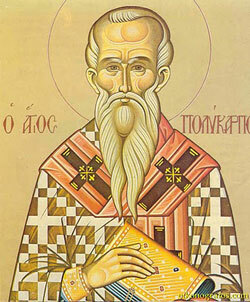 The bishop of Scythopolis in Galilee. He attended the Council of Chalcedon (451) and took part in the complete triumph of the orthodox Christian cause against the heretics of the era. On his return home he was assassinated by a group of heretics at the command of Emperor Theodosius II. Wulfric (d. 1154) + hermit and miracle worker. Born at Compton Martin, near Bristol, England, he became a priest and was excessively materialistic and worldly. After meeting with a beggar, he underwent a personal conversion and became a hermit at Haselbury; Somerset, England. For his remaining years, he devoted himself to rigorous austerities and was known for his miracles and prophecies. While he was never formally canonized, Wulfric was a very popular saint during the Middle Ages, and his tomb was visited by many pilgrims. Feast day: February 20. Alvarez was born in either Lisbon, Portugal, or Cordova, Spain. He entered the Dominican convent at Cordova in 1368. He became known for his preaching prowess in Spain and Italy, was confessor and adviser of Queen Catherine, John of Gaunt’s daughter, and tutor of King John II in his youth. He reformed the court, and then left the court to found a monastery near Cordova. There the Escalaceli (ladder of heaven) that he built became a center of religious devotion. He successfully led the opposition to antipope Benedict XII (Peter de Luna), and by the time of his death was famous all over Spain for his teaching, preaching, asceticism, and holiness. His cult was confirmed in 1741.